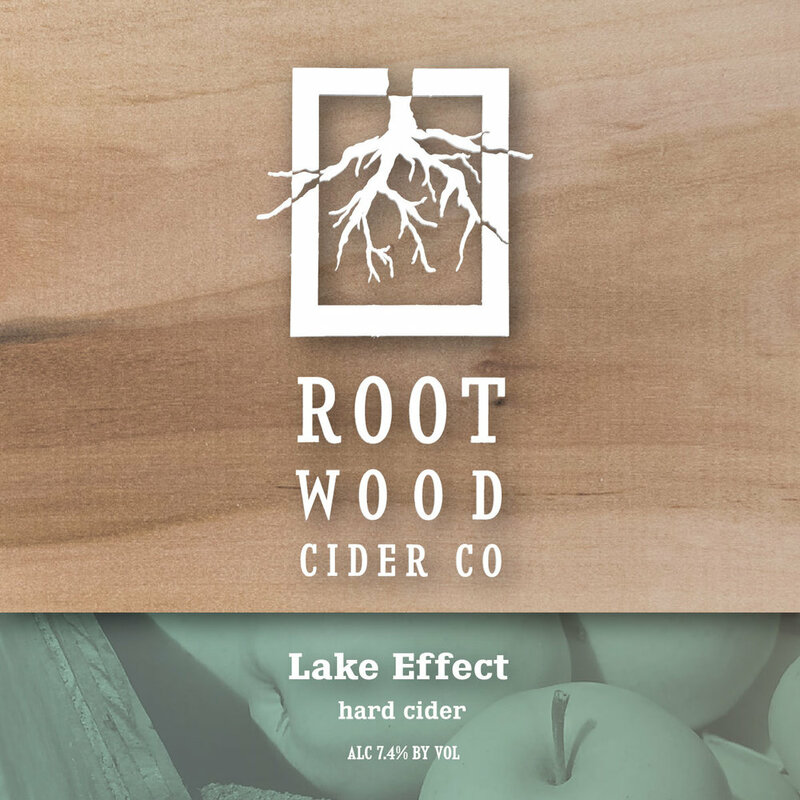 View ciders — Rootwood Cider Co.
Rootwood cider is crafted using several different types of apples. Each variety has unique characteristics and differences in color, aroma, clarity, and flavor. After crushing and pressing the apples, these characteristics remain in the juice and throughout the fermentation, blending, filtration, and pasteurizing process. Each blend of cider may look different in the glass or bottle. Sometimes there may be natural sediment or color change in the cider depending on the blend and cidermaking process. Celebrating 103 years of apple harvests in our family orchards. Each year, another Harvest Series cider is created. This cider honors the hard work of another successful growing season. Featuring Golden Delicious, Winter Banana, Pink Lady, and Spitzenberg apples. Golden Tri is a cider made with three distinct golden apple varieties: tart and juicy Jonagolds, crisp Golden Delicious, and complex Golden Russet cider apples. Each variety is interesting in its own right, but together they shine in this golden cider combination. Hop-infused cider featuring Pink Lady apples and Citra Hops. Honoring Lake Chelan’s influence on our weather, geography, and daily lives! Featuring: Winesap, Golden Delicious and Manchurian Crab apples. Every harvest, a selection of cider apples is pressed to create this special cider. With nearly 20 different varieties total, a sampling of the cider apples included in this blend include: Ashmead’s Kernel, Bramley, Ellis Bitter, Golden Russet, Foxwelp, Kingston Black, Newtown Pippin, Wickson Crab, Winecrisp, Tremletts Bitter, Belle De Boskoop, Rubinette, Harrison, and Winesap apples. Available exclusively in the taproom and online. This Heritage Style blend features sharp and bittersweet cider apples, yielding a complex cider characterized by higher tannin levels and moderate astringency. Crafted from Yarlington Mill, Harrison, and Winesap apples, grown in the Koenig family orchards. Available exclusively in the taproom. This perry made exclusively with Washington Grown pears is crisp and elegant, filled with delicate pear aromas. Bright fruit notes of melon and peach are balanced by subtle hints of vanilla. It is refreshing with a slight residual sweetness natural to the perrymaking process.